How much compensation for a Fractured or broken bone claim? Accidents leading to fractured and broken bones are not uncommon in the workplace. If you are someone who has been in an accident that led to a fractured or broken bone, then this guide will help clarify your rights. You might wonder if it’s possible to be compensated for an accident at the workplace and the answer is often yes. It is possible to fight for – and win – compensation even if it was an accident. The time it takes for a fractured bone or broken bone to heal varies from person to person and the time you spend recovering can depend on a number of factors, with many short and long term implications and costs. If you have fractured or broken a bone in the workplace or in any public location, it is important to understand your options and determine whether you are due compensation for your injuries. A guide to fracture or broken bone injury accident claims. What to do if you are involved in an accident causing a fracture or broken bone? Claiming compensation for a fractured or broken bone at work. Claiming compensation for a fractured or broken bone in a public place. Judging the severity of a fractured or broken bone injury. 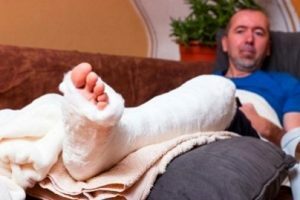 How to begin a fractured or broken bone accident compensation claim. What can be claimed for after an accident causing a fractured or broken bone? How much compensation will I get for an accident causing a fracture or broken bone? No Win No Fee Fractured of Broken Bone Claims. Why Choose Us as Your Claims Service for a Fracture or Broken Bone Injury Claim? A fracture is a breaking or cracking bone that may occur in the arm, legs, hip, hands, wrist, fingers, toes, jaw, cheekbones, nose, pelvis, ribs, or any other bone. Typically, such injuries are very painful and can be quite dangerous. However, there are two distinct fracture-related injuries which are considered to be potentially lethal, those which occur in the spine and skull. Fractured skulls and spines can be irrecoverably harmful and are thus treated more seriously by doctors. In this section, you will find all the information you need to pursue a potential claim. The aim of this guide is to inform you of all the available options, allowing you to make the best possible choice. Additionally, this guide also serves to answer how much compensation you might be owed. Understandably, it can be very frustrating and somewhat difficult for most people to plunge headfirst into complex legal statutes and laws. We want to make your life simpler. Finally, this guide will also help you to develop a better understanding of the long term implications of fractured or broken bones and why they are considered a serious health concern. For instance, depending on the specifics of your fracture, it could lead to paralysis, memory loss, or even death. Therefore, it is of the utmost concern that you understand which options are available and, more importantly, that you understand the protections offered to you by the law. What to Do If You Are Involved in an Accident Causing a Fractured or Broken Bone? Step 1: Take photos of where the accident occurred. Step 2: Take photos of your injury. Step 3: Get testimonies from witnesses. Step 4: Seek medical assistance. Step 5: Write down everything that has happened thus far. This includes the date and time when the accident happened and the exact location. Be very descriptive, the more details the better. Step 6: Reach out to a solicitor. Following these steps will ensure that, in seeking compensation for your injury, you will be best equipped to prove that your injury occurred due to the negligence of your employer. Falling from a ladder while stocking items on a shelf. A car accident caused by improperly observed safety inspections. Having a heavy object fall on your foot or hand while on a construction site. These examples are among the most prevalent in the UK, having caused many broken bones and back injuries in the workplace. Falls and trips – this can involve you falling down a flight of stairs or a simple “slip and fall” scenario. Car accidents – this is perhaps the most prevalent type of accident in public spaces. The impact of two vehicles colliding can cause a plethora of injuries to the body, especially if you are ejected from the vehicle. Even in relatively minor crashes, it is not uncommon for victims to suffer a broken arm or finger. Motorcycle and cycle accidents – this form of vehicular accident can be even more catastrophic than car accidents. The likelihood of receiving multiple fractures or broken bones is extremely high. Assaults – there may be an incident where you or someone you know has received a fractured or broken jaw after being assaulted by a third party. Sports and recreation – this form of accident might occur if you are playing some form of sport at a sports recreational building or activity centre. For example, poorly maintained weight lifting equipment could cause injury. Depending on which bone is affected, as well as the manner of the fracture, the severity of the injury can be described as being either mild or severe. For example, a fractured or broken toe might be considered a mild injury when compared to a fractured or broken rib, which could have affected the internal organs. Likewise, a fractured or broken finger can be considered less severe than a fractured or broken bone along the spine or on the skull. The area of the body, the specific bones affected, and the nature of the damage are all taken into consideration when diagnosing severity. In turn, the severity of the injury will have an effect on the amount of compensation you are due. The average compensation for a broken wrist versus the compensation for a broken ankle can differ, as the effects of either injury can affect your life in different ways. So, how much compensation for a broken ankle? You might find this surprising. The payout for a fractured or broken wrist can range from £2,550 to £44,500, while a broken ankle compensation payout can amount to as much as £10,300 to £53,100. As you will see, the specifics of each individual injury can have a huge effect on the amount of money which is awarded in each claim. The process of making a claim is not as difficult as you may think. Once you have gathered the necessary evidence – the photos you have taken, testimonies from eyewitness, etc – your next move should be to contact our law firm for a free consultation. Under our ‘No Fee No Win’ agreement, you will not have to worry about any kind of up front payment which could hinder your pursuit of legal compensation. Instead, you only pay a fee if (and when) your claim is successful. General damages – awarded for the injuries you have sustained during and after the accident. These injuries may include any fractured or broken bones, as well as the lasting health implications of any injuries. Care claim – if you are (or were) in need of help around the house following an accident, the cost of hiring a professional to assist or care for you can be claimed. Any bonuses or benefits you were to receive. Loss of Amenity – in some cases, due to the severity of the accident, you may lose your motor functions. These issues can be separately compensated. Travel Expenses – the costs you may have had to pay for trips to certain facilities not found in your immediate area, including health specialists, physiotherapists, and so on. Crutches (in instances where mobility is affected). A wheelchair (in instances where mobility is severely affected). Personal Pain and Suffering – trauma it is not uncommon after an injury, especially if you have lost your ability to move. The severity of a broken spine is devastating. To have to become solely dependent on another person can lead to an emotional pain which exceeds even the physical turmoil. Depression is not uncommon and, if you felt the need to seek out a psychologist, then you may also be due compensation for these costs. Following an injury, you might be left wondering “how much compensation for a broken arm” or “how much compensation for a broken ankle”. In this section of the guide, you will discover how much you could receive for certain accidental injuries. Typically, the more severe your injury, the more you will be awarded. For example, a fractured or broken leg compensation payout might not be as high as back injury compensation payouts. Often, it is the long-term implications of an injury that dictates the final amount. Even when comparing similar cases, there can be differences. For instance, a broken leg may be considered a severe injury. It might take months for it to heal. However, there are times when the bone heals quickly, only to leave the victim with a limp, in need of a cane for much longer than initially expected. Similarly, a broken back can take anything from several months to several years to properly heal, even when the injuries are superficially the same. The lasting effects of your injury are rarely easy to diagnose and, often, you are entitled to some form of compensation for the loss of your amenity, movement, earnings, and other damages. The following table can be used as an illustrative guide, demonstrating the differences in payouts and injuries in cases we have worked on. Suffering from a fractured or broken bone can be excruciating, especially for those with a fractured or broken spine. Whilst a back injury compensation calculator may give an estimate of how much you can be compensated, there really is no substitute for the exceptional legal opinion we provide in our free consultancy session. If you are interested, we are available to discuss the intricacies of your case at any time. When you are recovering from an injury, the process of seeking compensation can be an unnecessary burden. Financially and mentally, it can add to your woes. Thankfully, you are not alone. Rather than suffering alone, you can trust our ‘No Win No Fee’ agreement to ease your concerns, allowing you to spend more time getting back to your best. Also referred to as our Conditional Fee Agreement (CFA), you can rest assured knowing that the only fees you pay are due when (and if) you win. For anyone concerned about the financial difficulties of making a claim, this can be a godsend. So why choose us? Our solicitors have years of experience winning cases such as these. We pride ourselves on our relationships with our clients, guiding them through the entire claims process. Our clients’ mental and emotional well being is equally as important to us as their physical ordeals. Our aim is to help. We want you to get the compensation you deserve. We offer a myriad of services designed to make the claiming process straightforward. Our ethical guidelines are designed with the client’s well being in mind. We strive to make your compensation our priority. In cases where you are not awarded compensation, you don’t pay a thing. We offer a free, no obligation consultation to discuss your options. We have experience with handling such cases, with a high success rate when it comes to maximising clients’ compensation. Finally, we offer an inclusive After the Event (ATE) agreement which will pay for costs incurred during the process of making a claim. Any outgoings or loss of earnings can be covered with our assistance. The after event insurance is optional to you. We put your best interests first when making any kind of compensation claim. Seeking compensation for your accident does not have to be a hassle. Whatever the injury you have received, be it a fractured bone, broken hip, or even multiple fractures throughout the body, we’re here to help. It is important to understand that you don’t have to live with the pain and that you don’t have to deal with the financial troubles caused by your accident, whether that’s hospital bills, loss of work due to your injury, or anything else. To contact us for an injury claim, call 0800 073 8804 and speak with one of our experts. We can help you make the first step towards a successful claim with no upfront cost. NHS How do I know if I’ve broken a bone? How Much Compensation For A Motorcycle Accident?